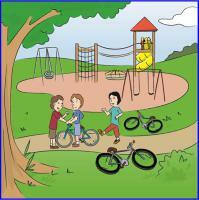 While at the park, JeeMin sees a little boy getting bullied and not sure what to do. 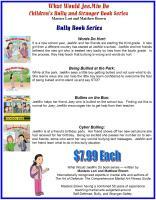 She learns ways she can help the little boy learn confidence to overcome the fear of being bullied and to stand up and say STOP. 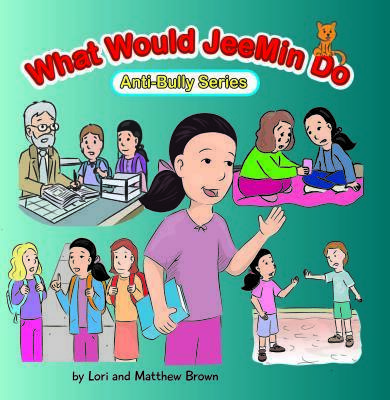 JeeMin helps her friend Joey who is bullied on the school bus. 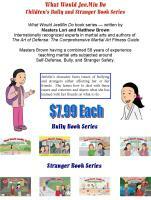 Finding out this is normal for Joey; JeeMin encourages him to get help from their teacher. JeeMin is at a friend’s birthday party. Her friend shows off her new cell phone she had received for her birthday. Being so excited she passes her number on to several friends, some who send her very unkind bullying text messages. 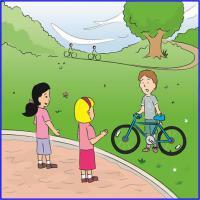 JeeMin and her friend learn what to do in this bully situation. 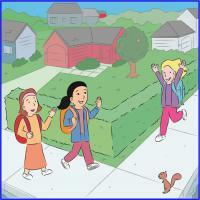 It is a new school year, JeeMin and her friends are starting the third grade. A new girl from a different country has started at JeeMin’s school. 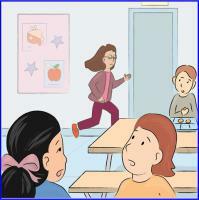 JeeMin and her friends befriend the new girl who is treated very badly by kids from the fourth grade. 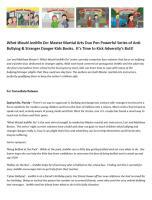 In the process, they help teach that bullying is wrong and words do hurt. JeeMin is home alone after school; a stranger is knocking at the door. JeeMin’s parents teach her what to do. 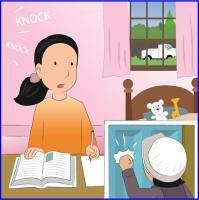 JeeMin teaches her friend about strangers at the door when home alone. 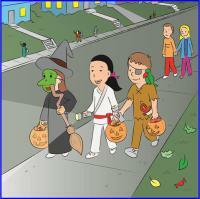 Halloween approaches, JeeMin and her friends prepare for trick-or-treating by going to their karate class to learn Halloween Safety and Stranger Danger. One evening JeeMin and her mom go to the grocery store to find a stranger in the shadows watching them. Together they learn what to do about strangers while out at night at the store. 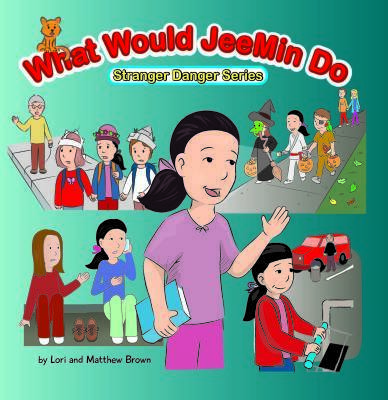 JeeMin and her friends walk to school not aware they are being watched and followed by a stranger, later to be approached by the stranger. 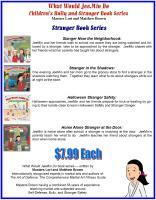 JeeMin shares with her friends what her parents had taught her about strangers. 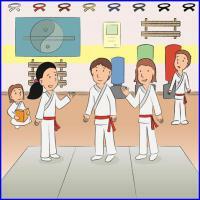 All Artwork was done by Toby Mikle of My Book Illustrator. Check out his great artwork.